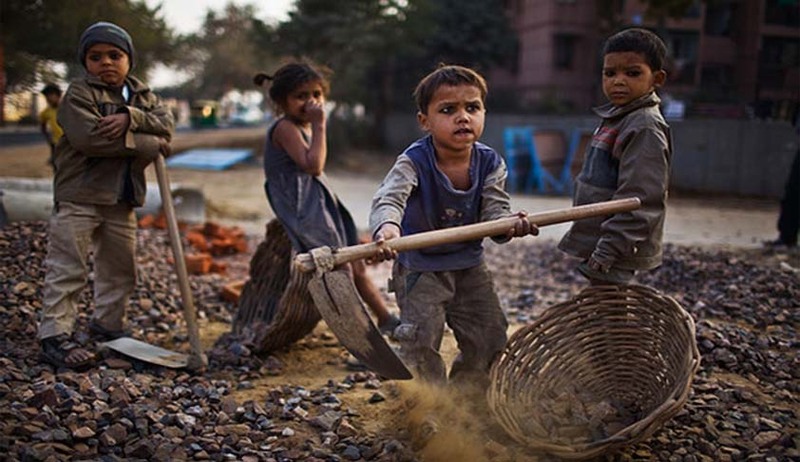 In a judgment rendered on September 4, the Delhi High Court has directed the Government of Delhi to come out with a proper scheme to address the issue of rehabilitation of the rescued children by providing some kind of economic help so that the parents or guardians do not force them to work as child laborers again to meet with their basic needs and to supplement their income for their basic survival. It directed a meeting to be convened within one month and fresh directives be issued within three months by the Chief Secretary. The Bench comprising Justice Kailash Gambhir and Justice P.S. Teji noted that the cases at hand were a “shocking revelation” of the “poor functioning” of the Child Welfare Committees constituted under Section 29 of the JJ Act, the Labour Department and the Delhi Police. The Court examined the level of compliance of these authorities to the judgment of the Court in the case of Court on its own Motion vs. Govt. of NCT of Delhi W.P(C) 9767/2009, wherein it had laid down guidelines and assigned roles to various stakeholders. It then noted that these authorities were more in breach than in compliance of the orders in that case. The Court was hearing a petition filed by Seema Roy, seeking an order in the nature of Habeas Corpus, to direct the authorities to produce her minor son Suraj, aged 12 years. Her son was in the custody and care of Butterflies, which is an NGO duly recognized under Juvenile Justice (Care and Protection of Children) Act, 2000. As per the affidavit filed by the NGO, they had received information that Suraj was working at a welding shop and was hence termed as a ‘victim of child labour’. He was thereby being kept at the Resilience Centre of Butterflies. Suraj allegedly admitted before a member of the Child Welfare Committee that he had been working at the welding shop for the past three months for 10 hours every day. He also said that he gets Rs 400 per month. Thereafter, the custody of the child was directed to be with Butterflies. Following a Court order, Suraj was produced in the Court and his custody was handed over to his mother. The Child Welfare Committee then directed Butterflies to conduct a Home Enquiry in the case. After an enquiry, it was admitted by Suraj’s mother that he was alcoholic and that is why she had decided to withdraw him form school and send him to work. It was revealed during Court proceedings that the Police had failed to take any action against Suraj’s employer, Mr. Kuldeep Singh, in terms of provisions of the Juvenile Justice (Care and Protection of Children) Act, 2000 and the Child Labour (Prohibition and Regulation), Act, 1986. A direction was hence given to the concerned Joint Commissioner of Police to file his affidavit after holding a detailed inquiry as to why the local police failed to timely register the FIR and the reasons for not arresting the employer. Pursuant to these directions, an FIR was registered against Mr. Kuldeep Singh on August 3, under Section 3/14, Child Labour (Prohibition and Regulation Act), 1986 read with Section 23/26 of the Juvenile Justice (Care and Protection of Children) Act, 2000. The Joint Commissioner of Police, in an affidavit, admitted the delay on the part of the police in registering an FIR and in coordinating with the CWC and on account of this failure, a show cause notice was issued to the IO and separate explanation has been called from the SHO for the lapses on the part of the police. Further, a Standard Operating Procedure was also laid down by the Department of Women and Child Development, Govt. of NCT of Delhi for safeguarding the best interest of the child including restoration of the children back to their families, transferring of children to their native states/countries as well as placing the children for long-term care in a child care institution. This SOP was claimed to have been forwarded to all departments. However, on enquiry, the Court found that the Chairman of the CWC, who had joined in June, was not apprised of any such SOP. The Court was left aghast with the shortage of staff in the Labour Department and the non-maintenance of files. It also found that the NGO had information of 8 more cases of child labour. However, no Department was in a position to apprise the Court about the actions taken in these 8 cases. In a subsequent affidavit filed to inform the Court about the status of these 8 cases, the Labour Department had merely expressed its helplessness in the issue. The Court rapped the CWC, terming the situation “more dismal and pathetic” as the Chairpersons manning the two CWCs involved, “appeared to be totally ignorant about their role and the manner in which they are to discharge their duties in terms of relevant provisions under various statutes, governing the child”. It was shocked to find that these committees are also adjourning the matters of these rescued children as a matter of routine. It noted that when Suraj’s case came before CWC, Kalkaji, it adjourned the same for a few days for placing the matter before CWC Lajpat Nagar due to lack of its jurisdiction. It was further appalled by the fact that no efforts were made by either of the two Committees to restore the custody of the child to the mother who had been running from pillar to post to meet her child and to know about his well being. It hence directed the Chief Secretary of Govt. of NCT of Delhi to convene an urgent meeting of all the stakeholders to have a complete review of the functioning of all the bodies who are involved in the process and to ascertain the exact reasons as to why they have failed to carry out the said directives. He was also directed to lay down the guidelines issuing necessary directives for fixing the responsibility of the officers so as to make them accountable if there arises any lapse or inaction without there being sufficient or cogent reasons for the same. Besides these, orientation programmes for the Chairpersons of the CWCs and stakeholders was directed to the conducted.